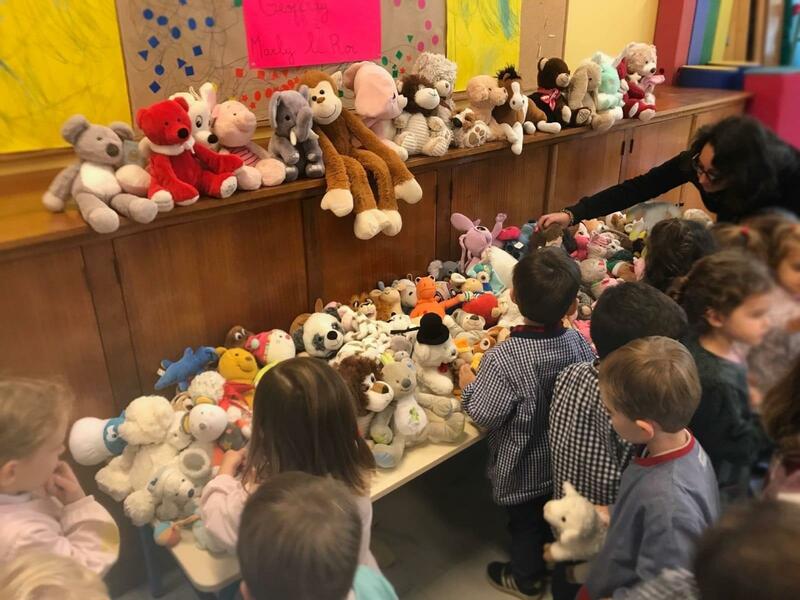 Winds of solidarity blew over the César Geoffray preschool of Marly-le-Roy when teachers invited their pupils to each give a cuddly toy to be sent to Afghanistan in order to show their support for the sick children living in the Children’s Pavilion in Kabul. Back home, pupils did not hesitate to turn their cupboards and toy boxes upside down so as to pick up their best soft toys and send as many as possible to bring some loving kindness to their friends in Afghanistan. This is how 40 kilos of cuddly toys started their journey form Marly-Le-Roi to Kabul. They finally made it to the Children’s Pavilion of La Chaîne de l’Espoir on Saturday 18 November. Some thirty children accompanied by their parents coming from all the provinces of Afghanistan were waiting for care at the Pavilion or convalescing following surgery. The cuddly toys generously sent by the children of the César Geoffray preschool have been more than welcome. The young boarders of the Pavilion have each had the opportunity to choose a cuddly toy that they will keep as a souvenir of their stay in Kabul before moving back to their home province. This “security blanket” operation is once again a proof that solidarity knows no boundaries. We wish to thank the teachers, the parents and above all the children, who have contributed to warm the hearts of the sick children of the Children’s Pavilion of La Chaîne de l’Espoir in Kabul.